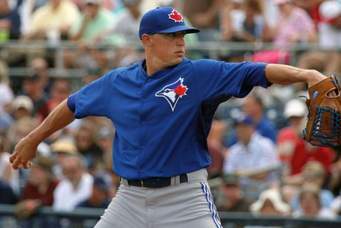 Aaron Sanchez of the Toronto Blue Jays was asked about inning limits after Tommy John surgery. He responded that he was “treading in uncharted waters.” This is a mash up of “treading lightly (or carefully)” (cautious) and “venturing in uncharted waters” (going into unfamiliar or unclear situations). “Treading water” (not making any progress) might be in the mix as water and treading are in the phrase, but it doesn’t fit in context and so I think the speaker was thinking “treading lightly”. A big thanks to Bruce Goldin for seeing this one and passing it on! Do you like sports malaphors? I have a whole chapter devoted to these mash ups in my recently published book, He Smokes Like a Fish and other Malaphors. It’s available on Amazon (http://www.amazon.com/dp/0692652205) for a mere 6.99! Makes a great stocking stuffer and Christmas is right around the corner, sorta….